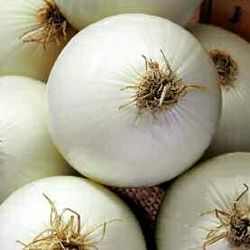 Onion variety with white, medium bulb, spinning top shaped. Sweet and white flesh. Sowing in September-October for harvesting in August.